Chrisendom: PopeTarts™ and Popesicles™: NEW ecumenical booster merchandise! PopeTarts™ and Popesicles™: NEW ecumenical booster merchandise! 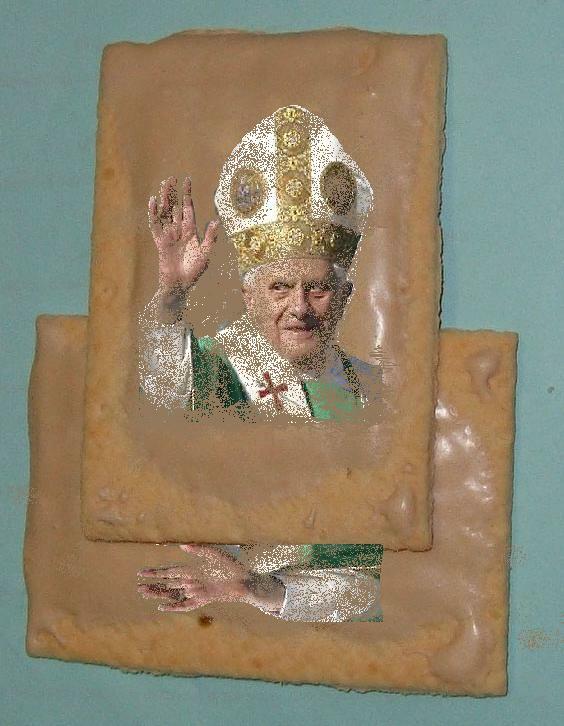 You may purchase these tasteful PopeTarts™ and Popesicles™ by contacting the merchandise department in the comment box. A nice feature of the PopeTarts™ ($50 for pack of ten – plus free cardboard packaging): if you squeeze them in the middle, it repeats a variety of liturgical exclamations in Latin (remove electronic device before consuming). There are a variety of tastes to suit your ecumenical desire, from plain old chocolate to honey glazed barbequed cherub. The Popesicles™, at just $15 a pack*, are made to taste of incense smoke. 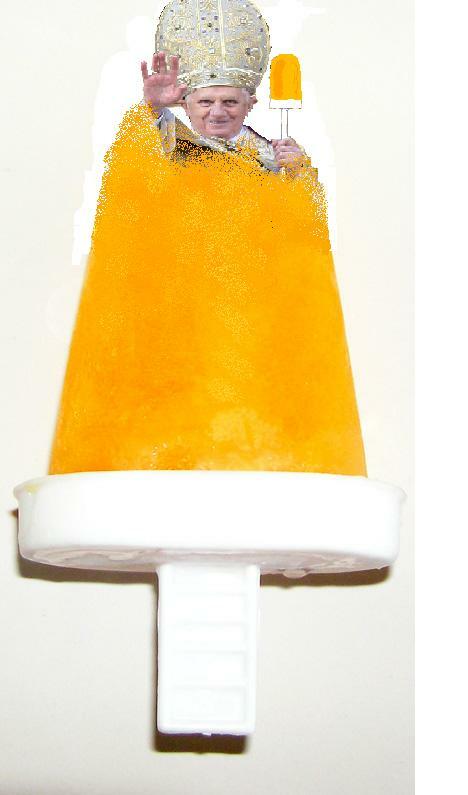 Other flavours will be made available in the new year. We are presently working on Prayer Beads that double up as an Mp3 player, and statues of the Virgin Mary with moving eyes. * Contains 1 Popesicle. May contains nuts, snot, hair, ice, dairy products or meat. Didn't the original popesicles have a pope carrying a popesicle with a pope carrying a popesicle with a pope carrying a popesicle with a pope wearing a Zwingli button? I remember you had to use a magnifying glass and if he just melted a bit you realized the shotty job they did of covering the "I love NT Wright" pin. And didn't they come 2 to a box? Oh my - I am so glad that Mimi sent me here! We in Sweden eat ginger bread for Christmas. It is baked in small metallic forms to resemble stars, moons, christmas trees, hearts, and so on.